It’s the showdown almost a year in the making: Damage versus the Justice League! All Ethan Avery wanted was to be a hero. But instead, the military turned him into Damage, the one-hour monster of mass destruction. Now, at the top-secret military installation where Damage’s story began, the most powerful superheroes in the world arrive to end it. Ethan must choose between surrendering himself into captivity or fighting the heroes he aspires to be for his freedom. 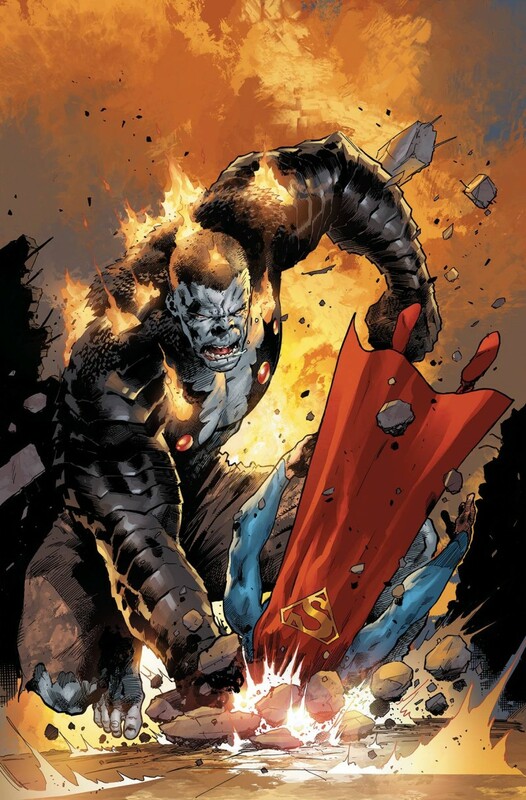 This can only end one way: Damage versus Superman!